RadioSoft announced it has received a contract from the American Association of State Highway Transportation Officials to enhance the association’s mobile radio frequency coordination. Most 800 MHz licensees do not need to conduct drive tests to verify that their systems’ coverage after rebanding is comparable to its coverage prior to the frequency reconfiguration process, according to a Transition Administrator (TA) fact sheet. Raytheon announced that its JPS Communications division introduced the NXU-2A network extension unit, which replaces the legacy NXU-2. Pyramid Communications announced the addition of the Model 3012 to its line of Fleet Tracker GPS/AVL products. As IP-based technologies become the norm, the 911 system needs to be overhauled to handle a variety of communication forms, according to a report released by the National Emergency Numbering Association. Senate Commerce Committee Chairman Ted Stevens (R-Alaska) said he hopes his committee will vote on the confirmation of Republican FCC nominee Robert McDowell next Friday, a committee source said. Motorola introduced a Windows-based mobile VPN solution developed specifically for public-safety and government users, dubbed Multi-Net Mobility, that provides the triple play of intelligent routing, session persistence and secure connectivity as users roam between multiple wireless data networks, including Wi-Fi and mesh networks. Republican FCC nominee Robert McDowell will be the focus of a nomination hearing before the U.S. Senate Commerce Committee this afternoon. 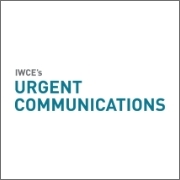 Wave 4 licensees operating in Channels 1-120 will begin the 800 MHz rebanding process three months later than originally planned to allow state-department negotiators more time to reach critical border agreements with the countries of Canada and Mexico, the FCC announced. Motorola announced that the city of Plano, Texas, will deploy its MotoMesh and Canopy backhaul solutions to establish a “mobility corridor” that is designed to provide 4.9 GHz wireless broadband connectivity to first responders.